While I’ve been getting my new website Mexicotrilogy.com up, I’ve been picking blackberries daily, fighting the bees to get to them. They are so dark and sweet I often don’t use sugar with them. Recently, I’ve taken to making a super simple blackberry cobbler. So simple. Here it is: Put 4 cups of blackberries in a greased 9 by 9 dish. Melt 1 1/2 sticks of butter in a microwave. Add 1 1/2 cup of flour, 1/2 teaspoon of salt and 1 to 1 1/2 cup of sugar. Stir this together into kind of a dough. Can be crumbly. Pinch off enough dough to make small golfball size balls and flatten into discs with your hands about 1/4 to 1/2 inch thick. Lay discs on top of the blackberries and cook for forty-forty-five minutes in a 350 degree oven. Serve hot with vanilla ice cream. Your husband will love you forever. 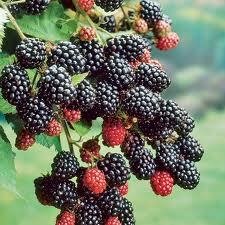 Like all homey simple recipes, you may have to adjust the sugar, depending on the blackberries and your taste. Don’t add more butter, though. Okay, so if we still lived in the Bay Area, we’d probably celebrate the launch of my book and the new website Mexicotrilogy.com at Gary Danko’s, or Boulevard or even the old sentimental favorite Chez Panisse. As this was a celebration, I didn’t want to spend hours slaving. I’d already done that on the book and website. In Food and Wine Magazine, I found a great simple recipe I will save for all time. In a large bowl, combine the lime zest and juice with the 1 tablespoon of olive oil. Using a rubber spatula, gently fold in the diced honeydew melon and avocado. Season the salsa with salt and black pepper. Light the grill. 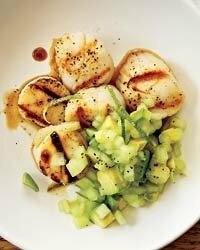 Drizzle the scallops with olive oil and season with salt and black pepper. Grill over moderately high heat, turning once, until nicely charred and just cooked through, 3 to 4 minutes per side. ( I used scallops from Whole Foods and grilled them 2 1/4 minutes total.) Transfer the scallops to plates, spoon the salsa alongside and serve. The toasty flavors of a California Chardonnay would be delicious with the sweet and smoky scallops. We drank a bottle of Talley Rosemary Vineyard Chardonnay that we’d been saving for just such an occasion. Their Arroyo Grande Chardonnay is excellent with this, too. I wish I had a picture of the patio with all the little twinkling lights and flickering candles and me and Dave happy, happy, but I don’t. 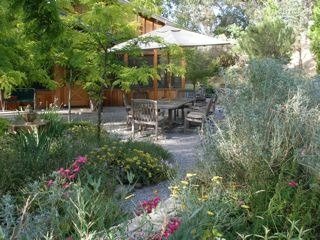 I’ll put up this old picture of the patio. 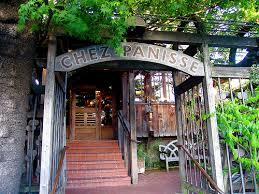 This is just to say that you can have a Chez Panisse meal on a Wal Mart budget. Cost of ingredients maybe 10 dollars. The wine a splurge given the event, but my Italian friends love Kendall Jackson Chardonnay. Can’t beat the price there. For some reason, I’m on this mission to show all us 99 percenters that we can live like the 1 percent with a little creativity and work. Maybe if we’re all having a good time, are not angry and resentful, we won’t vote for mean, stingy people who cut food stamps for poor children. Maybe. 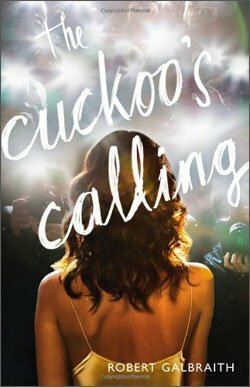 In April of this year, Mulholland Books, an imprint of Little Brown, published a mystery novel by an unknown author, Robert Galbraith, titled Cuckoo’s Calling. It got some nice reviews, including starred reviews from Publisher’s Weekly, as well as praise from well-known authors in the genre. You know how many copies it sold in three months? Five Hundred, as in 500 all over the world. If Robert Galbraith had really been Robert Galbraith, the one with the complete biography at the back of the book detailing his service in the army, his work in civilian security etc. etc., he would never have earned back his advance. It’s fair to say, he might never have been heard of again. But, Robert Galbraith was as complete a fiction as the book itself. The author, finally outed in an anonymous tweet, was none other than J.K. Rowling. Yes, that J.K. Rowling of Harry Potter fame. I’d also venture to guess that if Robert Galbraith hadn’t really been J.K. Rowling of Harry Potter fame, but rather let’s say, Joe Blow or even Jane Rosenthal, and said writer created such a fictional biography and only sold 500 copies and was outed in the press, there would be enough lawsuits to keep lawyers in business for years. The only thing worse would have been if Oprah had chosen it for an Oprah Book Club selection. Suffice it to say, Cuckoo’s Calling is now number one on bestseller lists. Same book. Same story. Same words. It’s good, too. I’m reading it until wee hours. I’d even be willing to say that if Robert Galbraith were really the army bloke he was portrayed to be to be with few literary contacts, he would have never gotten published at all. He would have had a manuscript in a box. He might have even turned to self-publishing, as many have. All I can say is that it has been incredibly liberating to do something people in power said I couldn’t do. One small step for Jane, one giant step for talented, interesting, older women everywhere. Go to MexicoTrilogy.com and check it out.
. . . Robert Galbraith. That’s the story for this week’s blog post. Read on, and you’ll see why. I sort of disappeared for a few months. Why? Because I was getting Palace of the Blue Butterfly, my own debut romantic suspense novel, up on Amazon. That, friends, was a lot of work. Like many things, having children for one, I had no idea what I was in for. 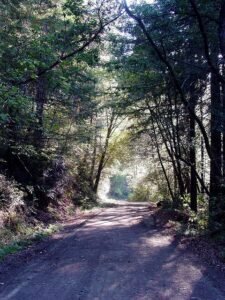 Also, life sort of intervened there, too, with a few hard knocks and blows. More about that later, and how I am facing those things. Poetry helps. Meditation. But, today is a celebration. My book is up on Amazon, and I’ve got a great new website MexicoTrilogy.com where, with a few clicks, you can get the book, read about the history of chocolate in Mexico, look at pretty pictures of the book’s settings, get some great recipes, and, in general, have a good time. Three years ago, I had a book in a box in the closet, an agent in New York who felt the character was too old to reach a large audience. (She’s forty-two, for God’s sake. 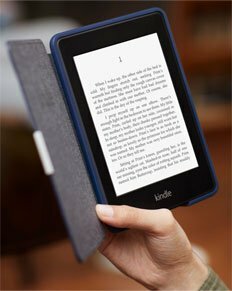 How old are the women who are actually readers in this country?) The country was in the grips of The Great Recession, and publishing houses were totally freaked out about publishing anything that wasn’t by John Grisham, Nora Roberts, or, indeed, J.K. Rowling. Also, forget the setting. Mexico. Seriously. I have the rejection letters from publishing houses that say that. Oh, and I knew nothing, nada, zippo, about blogging, websites, podcasting. I learned all those things. And I’m even older than fifty, you know, that cut-off age where no one is interested in what you do anymore. Today, I’m out to prove the nay-sayers wrong. Today, anyone with an e-reader anywhere in the world can buy my book on Amazon. $2.99 will get you a trip to Mexico City where you’ll meet interesting, unexpected characters, root for the fifty-year old protagonist, see how exciting and glamorous and even romantic Mexico City is. I’d say it was a pretty good deal. 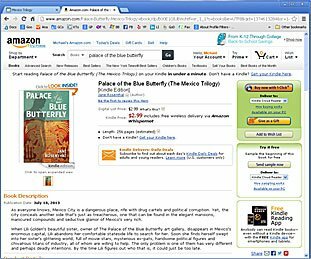 If you’re suffering through a heat wave like we are, I’d make some ice tea, download Palace of the Blue Butterfly and escape for a few hours.